Our refined rustic chair comes straight from furniture leader TON CZ. In the Ironica chair, TON CZ gives us their their updated version of an iconic Windsor chair. 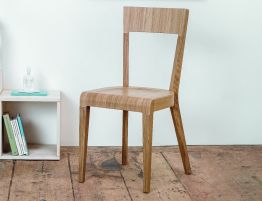 TON CZ took elements of this legendary spindle chair and added to it their fine furniture construction know how to make this wooden chair a bit more modern, current and a fresh update to your kitchen or dining room. TON CZ went about turning the slender spindles, carving the gently moulded saddle seat and steam bending our timber chair’s gently curved back using technics that have defined the fine wood furniture of TON CZ for over 100 years. 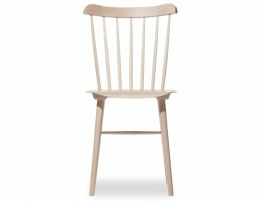 The Ironica wooden dining chair is a charming wood chair that is leaps and bounds ahead of the wobbly, poorly constructed wooden chairs so often found at the big box chain stores. Our spindle back dining chair offers a rustic modernism that is absolutely at home in your stark modern kitchen or your rustic farmhouse family kitchen. Nothing brings warmth and beauty into your dining room or kitchen eating area like natural European beechwood. 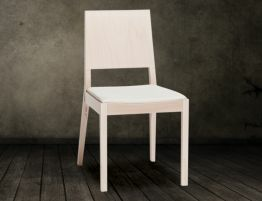 Our Ironica dining chair offers a look that is almost delicate anyway T, substantial wooden dining chair. 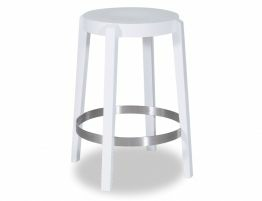 One of the chairs defining features, the spindles that form the chairs backrest, give this chair its airy, open feel.